Tá clú agus cáil ar Mháire Ní Chéileachair ar fuaid Éireann mar amhránaí den scoth. Go deimhin ní h-amháin ar fuaid na hÉireann ach i ngach áit ar fuaid na cruinne ina gcantar amhráin na nGael. Tá clú agus cáil uirthi leis mar dhuine go bhfuil an t-uafás oibre déanta aici ag múineadh amhránaíochta do dhaoine óga i gceantar Mhúscraí Úí Fhloinn mar pháirt den scéim Aisling Gheal. Mar thoradh na hoibre sin tá ana chuid amhránaithe óga san taobh sin tíre anois agus ana chuid duaiseanna á mbuachtaint acu i gcomórtaisí Sean Nóis, ina measg Corn Uí Riada. Bhronn Dia féin guth binn ceolmhar ar Mháire agus is breá liom bheith ag éisteacht léi ag rá na n-amhrán. Mar is ceart, tugann sí tús áite do fhocail agus scéal gach amhráin a chasann sí. 'Sé deireadh na Gaeil riamh ná “Abair amhrán” agus sin díreach a dheineann Máire. Tá a cuid maisiúchán slachtmhar ciallmhar agus iad i gcónaí ag treisiú brí agus tábhacht na bhfocal. 'Na theannta san ar fad, tá stór mór amhrán ar a toil aici. Tá ana chuid duaiseanna buaite ag Máire. Tá an dara h-áit buaite aici i gComórtas Corn Uí Riada breis is leath dosaen bliain. D'fhógródh duine eile in ainm a' diabhail an scéal dá mbeidís sa chás céanna. Ach ní sin an sórt duine í Máire. Leanann sí uirthi ag iomaíocht. Is ann atá an gníomh agus ní chun an sprioc a shroisint. Ceapaim féin gur breá léi bheith i gcómhluadar amhránaithe eile, gur breá léi an chomrádaíocht agus an cairdeas. Sin an rud a spreagann í. Ar ndóin, is uirthi a bronnadh Gradam Amhránaí na Bliana TG4 2018. Gura fada buan tú, a Mháire, tú féin agus do chuid cantaireachta. Rugadh agus tógadh Máire ar an bhFearann i gCo. Chorcaighe ach is ó Chill na Martra i nGaeltacht Mhúscraí dá muintir roimpi. Tá stíl an cheantair seo go smior ina cuid amhránaíochta. B'í an chéad stiúrthóir í ar Aisling Gheal - Scéim Forbartha Amhránaíochta Mhúscraí. Is ball í chomh maith de Acadamh Fódhla, sa dúthaigh chéanna, a bhronn an teideal Saoi agus an Bonn Óir uirthi sa bhliain 2012. Chomh maith le mórán duaiseanna Oireachtais agus Fleadhanna Ceoil, bronnadh gradaim Gradam Ceoil TG4 Amhránaí na Bliana 2018 uirthi maraon le Gradam Shean Nós Cois Life. Is minic í páirteach i bhféiltíbh ceoil agus amhránaíochta ar fuaid Éireann is abhus. Ach is é an t-úrísleacht agus a fírinneacht a thugann an draiocht dá cuid amhránaíochta agus tagann sé seo ó thobar doimhin a croí is a h-anama atá i gcónaí grámhar, riamh is choiche. Tá na taifid seo curtha le chéile sa Draighean mar a bhfuil gnáth fothrom an lae le clos ar uairibh agus glór na n-éan, inaice láimhe, a mhothaigh dualgas orthu féin dul in iomaíocht le smólach Mhúscraí dá bhinne í. 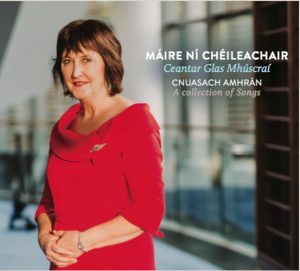 Born and raised in Farran, Co. Cork, Máire Ní Chéileachair inherited her love of singing from her family roots in Kilnamartyra in the Múscraí Gaeltacht of Co. Cork. She was singer-in-residence in Múscraí in 2000-2001. With her professional background in education, she brought her skills highly successfully to her teaching of sean-nós singing to the young people in the Aisling Gheal scheme which promotes and fosters the Múscraí singing tradition. She has won many prizes at Fleadh Cheoil and Oireachtas competitions and her awards include Gradam Ceoil TG4 Singer of the Year 2018, and Gradam Shean Nós Cois Life. A founding member of Dáimh Amhránaíochta Acadamh Fódhla, she was named Saoi (Wise One) and awarded their Gold medal in 2012. She is a frequent performer at festivals in Ireland and the world over. The magic in her singing comes from her inherent humility and truth and that comes from the depth of her ever-loving heart and soul. It was a great pleasure to be part of this project and to hear her voice now availbale to the many. 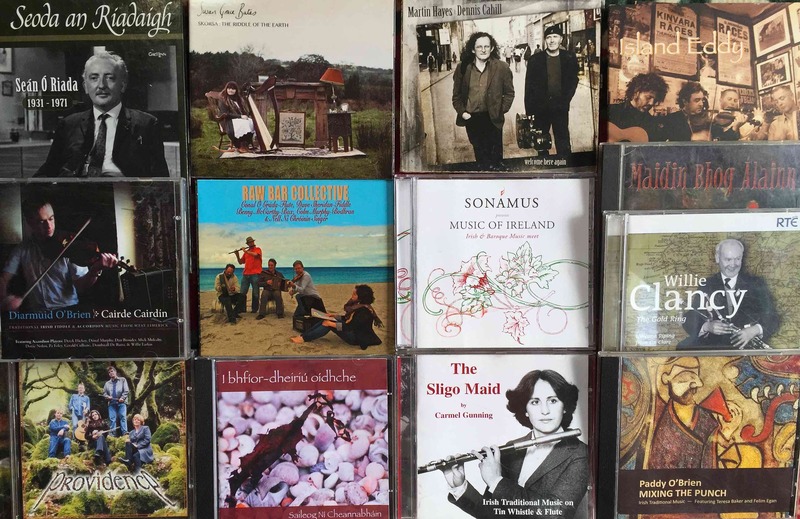 These recordings were taken in An Draighean, Cúil Aodha and the sounds of life surrounding may occasionally intrude, especially my aviary of birds who felt it incumbent on themselves to constantly compete with Máire - Thrush of Múscraí. Ba shaothar iontach, taithneamhach, grámhar an tionnscnaimh seo domsa agus cuireann sé áthas croí orm guth ceolmhar Mháire do bheith anois ar fáil dos na slóitibh daoine. Peadar Ó Riada , An Draighean, Lughnasa, 2018. Amhrán thar a bheith drámatúil é seo a thaitneann go mór liom - amhrán a d'airíos á chanadh ar dtúis ag an sáramhránaí ó Chúil Aodha, Eilís Ní Shúilleabháin. Is aoibhinn liom a bheith á rá mar tá an briseadh croí agus an grá go doimhin ann agus oiriúnaíonn an fonn na smaointe. Rud neamhchoitianta faoin amhrán ná go bhfuil sé ar cheann den bhfíor-bheagán amhrán sa Ghaeilge a d'eascair ó bhailéad Béarla: "The Unquiet Grave". 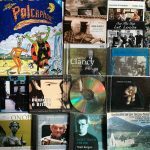 Mo bhuíochas le Pádraig Mac Cárthaigh as an eolas seo a roinnt liom. Tá na focail sa leagan so le fáil sa bhailiúchán "Journal of the Folk-Song Society" 1920-1921 (Vol 6 Nos 23-25). Bhailigh Sasanach darbh ainm A.M.Freeman amhráin i nGaeltacht Mhúscraí sna blianta 1913-1914 don bhailiúchán so. Ba ó Chonchubhar Ó Cochláin, Doire na Sagart, a bhailigh sé an t-amhrán so. Leagan eile den amhrán céanna ná "Táim Sínte ar do Thuama". I first heard this song from the singing of Eilís Ní Shúilleabháin, renowned singer from Cúil Aodha. I loved the air and the dramatic conversation between the distraught man and his dead lover in the grave. It is unusual in that it is one of the few songs in Irish which originated from an English ballad: "The Unquiet Grave". The words here are from the "Journal of the Folk-Song Society" 1920-1921(Vol 6 Nos 23-25). Amhrán deas meidhreach mar gheall ar phósadh tincéara atá anso. "An Cóisire Greannmhar" a thugtar air chomh maith. Tá sé greannmhar, gan dabht. Tá sult le baint as na heachtraí grinn atá ann. D'airíos ar dtúis é ó Dheirdre Ní Cheallaigh, Cúil Aodha. A tinker's wedding is the subject matter for this amusing merry song. I enjoy its lively rhythm and the comic incidents associated with the wedding. I first heard it from Deirdre Ní Cheallaigh of Cúil Aodha. D'airíos an t-amhrán so á chanadh ar dtúis ag an amhránaí breá Seosaimhín Uí Chuilleanáin ón Plantation, Baile Mhic Íre, a fuair óna seanmháthair, Elizabeth Cronin, é. Tá an t-amhrán le fáil sa bhailiúchán "The Songs of Elizabeth Cronin" le Dáibhí Ó Cróinín. Tá an fonn cosúil leis an bhfonn a bhaineann le "Erin the Green" a chloistear i dtuaisceart na tíre. I learned this song from Josie Uí Chuilleanáin, The Plantation, Baile Mhic Íre, who got it from the singing of her famous grandmother Elizabeth Cronin whose extensive store of songs has been a source of inspiration for many singers. The poet here is singing the praises of his native place of Kinneigh, near Bandon, Co. Cork. It is in the collection "The Songs of Elizabeth Cronin", edited by Dáibhí Ó Cróínín. Chuala an t-amhrán gleoite éadrom so ar dtúis ag Eilís Ní Shúilleabháin ó Chúil Aodha. Nuair atá an cailín seo ag iarraidh fear céile a roghnú seachnaíonn sí na fir stuama chiallmhara - lucht an airgid, b'fhéidir; roghnaíonn sí an veidhleadóir! The young lady in this song is in the process of choosing a prospective husband and picks the fiddler above other more sensible tradesmen! My source for this popular lighthearted song is Eilís Ní Shúilleabháin from Cúil Aodha. Ní hé seo an leagan mar a chloistear de ghnáth ach leagan a bhailigh A.M.Freeman ó Chonchubhar Ó Cochláin, Doire na Sagart, timpeall na bliana 1914 agus atá ar fáil sa "Journal of the Folk-Song Society" (Vol. 6 Nos. 23-25) 1920- 1921. Tá cosúlachtaí idir an leagan so den amhrán ón mbailiúchán san agus an gnáthleagan Muimhneach ó thaobh na bhfocal de ach an fonn a bheith difriúil ar fad agus véarsaí breise a bheith ann. 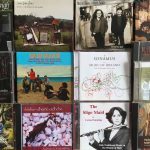 Tá filíocht álainn ann agus taitneann an frása neamhchoitianta sa chéad líne ceoil liom. Sampla eile d'amhrán grá an fhir atá anso agus tá leaganacha dhe ar fáil i gConamara agus i dTír Chonaill chomh maith. Deirtear gurbh é an tAthair Liam Inglis (1709-1778), bráthair Aibhistíneach ó Cho. Luimnigh, a chum an t-amhrán so. Chaith sé tréimhsí mar mháistir scoile i gCo. Chorcaí, Múscraí san áireamh. Versions of this well known love song are to be found in many parts of the country. The air in this version is different from the more widely sung version and the unusual musical notes appealed to me when I found them in the " Journal of the Folk-Song Society" 1920-1921. The song was collected by A.M. Freeman from Conny Cochlan, Doire na Sagart, during the years 1913-1914. D'airíos an t-amhrán so á rá den chéad uair ag Donncha Ó Loingsigh ó Bhaile Mhúirne. Thaitin an rithim dheas éadrom liom láithreach agus blianta ina dhiaidh san fuaireas véarsai breise i gcnuasach amhrán a bhailigh Pádraig Ó Buachalla óna mháthair Nóra Ní Mhuirithe ón Inse Mhór, Cúil Aodha thart ar 1926. Táim buíoch de Shíle Uí Luasa, Screathan, Cúil Aodha, a thug na véarsaí breise ón gcnuasach sin dom. Cuireann siad go mór le scéal an amhráin. I heard this lighthearted song being sung by the late Donncha Ó Loingsigh from Baile Mhúirne many years ago. In it the poet gives an account of his amorous successes all due to his leather breeches. Years later I was fortunate that Síle Uí Luasa, Screathan, Cúil Aodha, gave me extra verses from another collection of songs which certainly add to the story of the song. Is seoid í an t-amhrán so a d'fhoghlamaíos ó amhránaíocht bhinn Eilís Ní Shúilleabháin ó Chúil Aodha. Is dealraitheach gur le Co. Chorcaí a bhaineann sé, dúthaigh Dhún na Séad, b'fhéidir, agus tá sé á rá i Múscraí le fada. Tá na focail fileata agus an ceol go binn. Dealraíonn sé gur sagart a chum an t-amhrán grá so. Sampla den chineál amhráin ar a dtugtar reverdie atá anso. This is another of the big Múscraí songs with beautiful poetry and music which I learned from the sweet singing of Eilís Ní Shúilleabháin. The song seems to be set in Co.Cork, probably in the Baltimore area of West Cork, the Irish for which is Dún na Séad. The words would suggest that it was composed by a priest. Nuair a mhol Peadar dom dán a thaifead chuimhníos láithreach ar an dán álainn seo le Domhnall Mac Síthigh Uasal ó Chorca Dhuibhne a cailleadh go tubaisteach sa bhliain 2017 amach ó chósta na Portaingéile agus é ar thuras naomhóige. Bhí aithne air mar bhádóir, file, fealsúnaí, feirmeoir, craoltóir, scéalaí agus scríbhneoir. Sheasfainn sa sneachta ag éisteacht le Danny. Tá draíocht ag baint leis an dán seo. Mo bhuíochas ó chroí lena bhaintreach Máire a thug cead an dán a thaifead. When Peadar suggested recording a poem this magical piece written by Domhnall Mac Síthigh from West Kerry came to mind. Domhnall died tragically in 2017 while on a voyage in a naomhóg off the coast of Portugal. He was a renowned boatman, poet, philosopher, farmer, broadcaster, storyteller and writer. I could stand in the snow listening to Danny. My sincere thanks to his widow Máire for giving permission to record this poem. Tá an t-amhrán so i mo chroí le fada an lá. Seo leagan Múscraíoch den amhrán grá mór a cumadh go luath san ochtú haois déag - amhrán grá an fhir. D'airíos Seán Ó Liatháin, Sliabh Riabhach, á rá timpeall sé bliana déag ó shin agus thaitin sé go mór liom. Fuaireas na véarsaí breise ón mbailiúchán " Journal of the Folk-Song Society" a foilsíodh 1920-1921. Ba ó Chonchubhar Ó Cochláin, Doire na Sagart, a bhailigh A.M.Freeman an t-amhrán so. This Múscraí version of one of the best known love songs in the Irish language is one of my favourites. I heard it first from Seán Ó Liatháin, Sliabh Riach, about sixteen years ago. The words can be found in the collection "Journal of the Folk-Song Society" 1920-1921, collected by Martin Freeman from Conny Cochlan, Doire na Sagart, during the years 1913-1914. 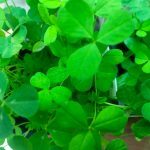 D'fhoghlamaíos an t-amhrán meidhreach so ón amhránaí aitheanta ó chathair Chorcaí, Lena Bean Uí Shé, blianta fada ó shin. Ba mhinic i mbéal Sheáin Uí Shíocháin ó Chill na Martra é chomh maith. Amhrán neamhchoitianta é sa mhéid is gur cur síos ar mhóruaisle gallda ag fiach an mhada rua ar fuaid na Mumhan atá ann. I learned this song from the fine Cork singer Lena Bean Uí Shé. It is unusual in that there doesn't seem to be any hostility shown towards the many members of the landed gentry who were taking part in this fox hunt. Amhrán i mbéal mná is ea é seo agus bainim an-thaitneamh as a bheith á chanadh. Is aoibhinn liom na pictiúirí áille gléineacha den bhfear atá ann agus is álainn an fonn atá leis. D'airíos an t-amhrán so den chéad uair á rá ag Eilís Ní Shúilleabháin ó Chúil Aodha ar a dlúthdhiosca "Cois Abhann na Séad" agus ina dhiaidh san ag Máire Ní Cheocháin, amhránaí ó Mhúscraí go bhfuil meas uirthi ar fuaid Éireann agus go bhfuil stór mór amhrán léi ar an dlúthdhiosca "Cú-cú-ín". Tagann na focail anso ó bhailiúchán Freeman. This fine woman's song is associated particularly with the Múscraí Gaeltacht of Co. Cork. I first heard it being sung beautifully by the renowned singer Eilís Ní Shúilleabháin from Cúil Aodha on her CD "Cois Abhann na Séad". I was also drawn to the sweet rendition of it by the Múscraí singer Máire Ní Cheocháin. I have had the pleasure of hearing those two singers in person many times over the years. The words here are from the Freeman collection. Gabhaim buíochas leis an amhránaí aitheanta Eoiní Maidhcí Ó Súilleabháin ó Chúil Aodha a mhúin an t-amhrán so dhom nuair a bhíos ag tosnú ar an scéim amhránaíochta "Aisling Gheal" sa bhliain 2000. Seán Eoin Ó Súilleabháin ó Dhoire 'n Chuilinn, Cúil Aodha, a chum, an fear céanna a chum "Táimse 'gus Máire". Amhrán éadrom a thaitneann i gcónaí le daoine óga. I first heard this song from Eoiní Maidhcí Ó Súilleabháin, the well known and highly respected singer from Cúil Aodha, who kindly sang it for me when I was starting to work on the "Aisling Gheal" singing scheme in 2000. In it the poet laments the predicament of a lame duck who has come to his door with a broken wing and promises to nurse him back to full health. Amhrán álainn nuachumtha ag moladh ceantar Mhúscraí é seo, cumtha ag Peadar Ó Riada agus Dónal Ó hÉalaithe. Is dóigh liom go bhfuil an ceol go fíorálainn agus tá sárfhilíocht ann. Trí ranna déag atá ann, go ndeirim seacht ranna acu anso. B'iad Peáití Thaidhg Pheig, Seán Ó Duinnín, Diarmuid Ó Ríordáin agus Maidhcí Ó Súilleabháin a chum an chéad rann go leith. The rich poetry and beautiful air to this newly composed song appealed to me the first time I heard it and I am delighted to have the opportunity to sing it here accompanied by Peadar Ó Riada on piano who composed the music. Peáití Thaidhg Pheig, Seán Ó Duinnín, Diarmuid Ó Ríordáin and Maidhcí Ó Súilleabháin composed the first verse and a half. The song has thirteen verses (Dónal Ó hÉalaithe & Peadar Ó Riada), seven of which I am singing here. Paddy Berry from Wexford was the first person I heard singing this song about ten years ago. He kindly gave it to me, as I fell in love with the words and the air. I was drawn to it, as it gave voice to the woman's strong feelings of love and loss. Paddy says that this ballad possibly refers to the 1st Carlist Civil War in Spain in the 1830's. 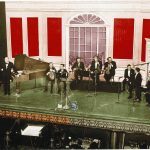 According to John Moulden, an expert on traditional songs in English, it was composed by John Sheil from Armagh who lived most of his life in Drogheda. This song can be found in the ninth volume of "Sheil's Love Songs"(1836). I learned this song from the singing of John Merwick at the Cork Singers' Club many years ago. It was very familiar to my ear as I had often heard it on the radio in my youth being sung by the Clancy Brothers. I found additional verses in the 1989 Centenary Supplement of The Southern Star newspaper given to me by Mary Tisdall O'Sullivan. The ballad, composed by Danny Óg Nyhan of Droumgarriffe, is based on an actual incident during the Land War of the 1880's involving Minnie Walsh of Ballinascarthy who got into an animated argument with the son of the landlord William Bence Jones. My thanks to Fr. Pat Hickey for this information. This is one of the most widely collected songs in the English language. Hundreds of versions have been collected in England, Scotland, Ireland and North America. I learned it from the singing of Tess Bean Uí Chonghaile, from Conamara, sadly no longer with us. We were both at the Clare Festival of Traditional Singing in 1998 in Ennistymon. I loved the air of her version and her wonderful rendition of it which I recorded from her. Years later I heard with interest a version of it with a similar air by Thomas Baynes on a CD called " The Lark in the Morning" recorded by Diane Hamilton. At the Willie Clancy Summer School about twenty years ago Brian Mullen, singer and broadcaster from Derry, played a recording of Robert Cinnamond, Co.Antrim, singing this charming song. It formed part of a lecture by Brian on Irish Traditional Music and the song immediately appealed to me. I kept a recording of it, subsequently learned it and have been singing it since. The tragic story of murder in this song, it seems, has its roots in a tale written by the Italian writer Boccaccio in the 14th century. It has persisted in one form or another down through the ages which doesn't surprise me as I was captivated by it the first time I heard it at a singing session during a Fleadh Cheoil in Listowel. This is an Irish version of the song known in the English ballad tradition as "The Bramble Briar". My source for the version here is the very fine singer Vincent Crowley from Bantry, Co. Cork. I was very taken with this song when I first heard it on an album by the inimitable Al O'Donnell in the 1970's. It was also covered memorably by Liam Weldon. The song, in memory of the patriot James Connolly, was composed by the poet, playwright and songwriter Patrick Galvin from Cork City and can be found in his book "Irish Songs of Resistance". Not surprisingly this fine song forms part of the repertoire of many traditional singers. A light lively song I learned from the renowned singer from Cúil Aodha, Eilís Ní Shúilleabháin. It can be found in the book "The songs of Elizabeth Cronin" by Dáibhí Ó Cróinín. 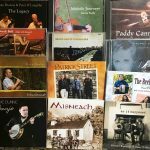 I was born and reared near Kilcrea Abbey and so, I was delighted to find out about this song from my neighbour Paudie Aherne who asked the well known musician Johnny McCarthy to compose the music for it. 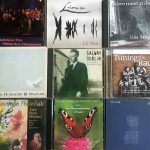 Johnny, a member of the Four Star Trio, recorded this lovely song in praise of Kilcrea on the CD "Magnetic South". The words were written by P.Newton, and can be found in the 1965 publication which marked the 500th anniversary of the Abbey. A collaborative effort between my dear friend Mary Murphy and myself about fifteen years ago. Mary composed the words and I put music to it. I learned this song from Colm O'Donnell, singer and flute player from Sligo, at the Scoil Éigse of the All-Ireland Fleadh Cheoil in Clonmel in 1993. It was a memorable week, it being the first time I encountered so many singers in the one place, many of whom have become firm friends and major influences in my singing life. I was immediately drawn to the music and lyrics of this song which is particularly associated with the late Paddy Tunney, one of Ireland's foremost traditional singers. I had the privilege of hearing Paddy singing many times. The words here are found in his book "The Stone Fiddle". Canada is a country I love and so I am very happy to sing it! I was fortunate to hear and record this charming song being sung by Tomás Ó Dónaill from Achill Island on a radio programme about fifteen years ago. The programme, presented by Ian Lee, featured songs from the RTÉ Radio archive. John McNamara from Achill recently told me that Patrick Tunney (1887-1951) from Westport, Co. Mayo, composed it. He was a prolific writer - his ballads and many articles were published in Old Moore's Almanac as well as in local and national newspapers. He also played a very active role in the fight for Irish Freedom. This song is one of the songs included in a book of his writings recently compiled by his grandson Liam Friel entitled "'Tis Erin I love best". I am grateful to Liam for providing me with all this information. Peadar Ó Riada set this Seamus Heaney poem to music. It was an honour for me to sing it with Peadar on piano at the Seamus Heaney HomePlace arts and literary centre in Bellaghy, Co. Derry, in February 2017 as part of a concert by Peadar Ó Riada. The concert featured Peadar's own compositions and arrangements as well as those of his father Seán Ó Riada. Seán Ó Riada and Seamus Heaney were friends and Seamus wrote an elegy for Seán in his poetry collection "Field Work". We are grateful to the Heaney Family for permission to use this wonderful poem. My Christmas Toys: composed - Patrick Tunney, Co. Mayo.